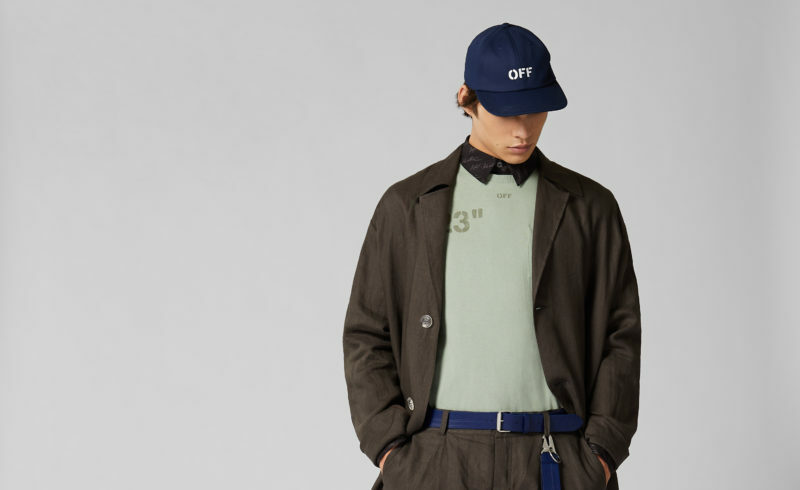 MR PORTER, the award-winning online destination for men’s style, is pleased to partner with game-changing streetwear brand Off-White to launch an exclusive capsule collection available only at MR PORTER. 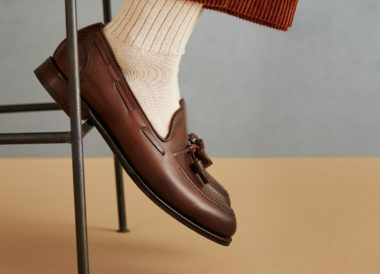 Beginning 21 January, MR PORTER will debut a 44-piece collection titled “Modern Office”, a revisionist dress code of traditional and modern sportswear, inspired by a new generation of workers and their work places. Under the direction of founder Mr Virgil Abloh, the exclusive capsule collection has been created with Off-White’s leading maxim – to define the grey areas between black and white as the colour off-white – and interprets the collection’s overarching themes of flux, evolution and modernity into a synergy of fabrics (wool, felt, cotton and heavy canvas), colours (muted and tonal), treatment (clean and distressed) and visuals (graphic and non-graphic). Securing the MR PORTER account has always been a goal for me. Not only have I admired it being a consumer in the marketplace and shopping it, but because I could always see my brand aligned with it. I’m so honored to team up with the team and produce this capsule exclusively for MR PORTER; I’m happy to have our worlds collide introducing the MR PORTER consumer who may not be aware of Off-White and bringing the Off-White customer who may not be aware of MR PORTER to an elevated place of luxury shopping. The collection is comprised of 20 ready-to-wear pieces, 18 accessories and 6 pairs of footwear. 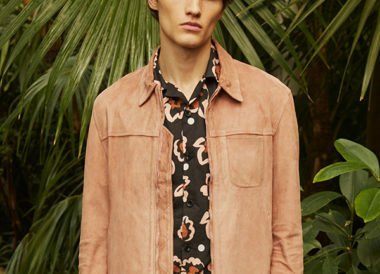 Standout pieces include: the Work trench linen coat with tonal embroidered arrow logo; all-over logo-print washed cotton heavy canvas jacket; wide-leg linen trousers with tonal arrow logo; all-over logo silk camp-collar shirt; “Modern Office” logo print jersey T-shirt; all-over logo jersey T-shirt; “Class of 2013” logo print cotton T-shirt; low-top 3.0 leather sneakers; distressed CO sneakers; all-over logo suede leather sneakers; all-over leather pool slide; Cordura canvas hip-belt; “Class of 2013” iPhone X cover; industrial logo rubber and leather belts. To celebrate the partnership, MR PORTER will launch a social-first integrated global marketing and content campaign, culminating in a MR PORTER X Off-White feature story in the 24 January edition of The Journal. 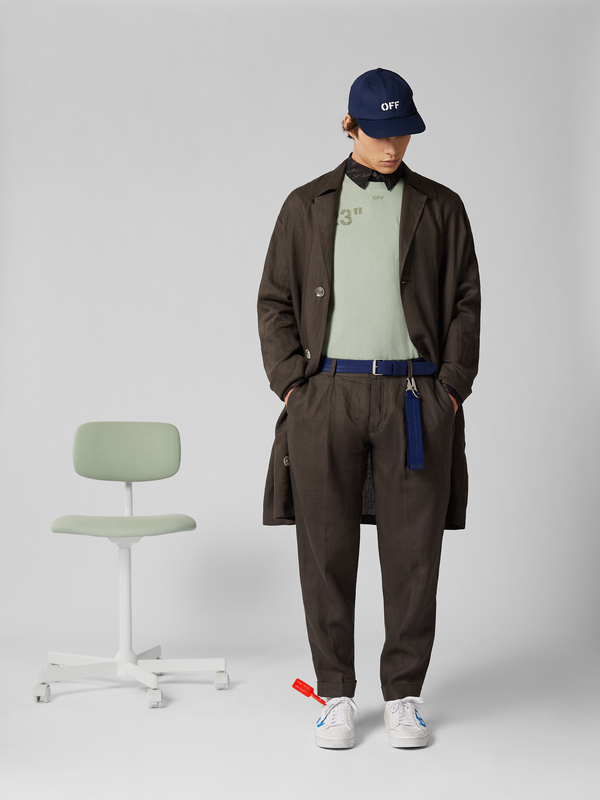 MR PORTER will also activate the launch off-line in a collaborative workspace in Seoul, South Korea, inspired by the capsule collection’s “Modern Office” aesthetics, from 14 to 20 January. We are excited to bring Mr Virgil Abloh’s modern approach and vision to menswear through this exclusive Off-White capsule. The eclectic product mix and design bring to life the ‘Modern Office’ inspiration, and truly speaks to the way in which many of our customers dress and navigate in their daily lives.